The Endoscopic Gastric Balloon is reversible, non-surgical procedure for weight loss that is performed by qualified medical specialist. 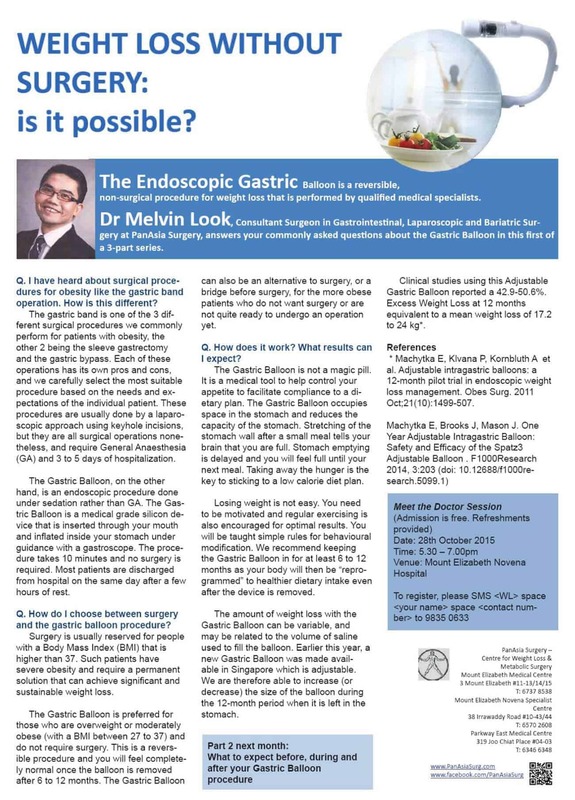 Dr. Melvin Look, Consultant Surgeon in Gastrointestinal, Laparoscopic and Bariatric Surgery at PanAsia Surgery, answers your commonly asked questions about the Gastric Balloon in this first of a 3-part series. Q: I have heard about surgical procedures for obesity like the gastric band operation. How is this different? The Gastric Balloon, on the other hand, is an endoscopic procedure done under sedation rather than GA. 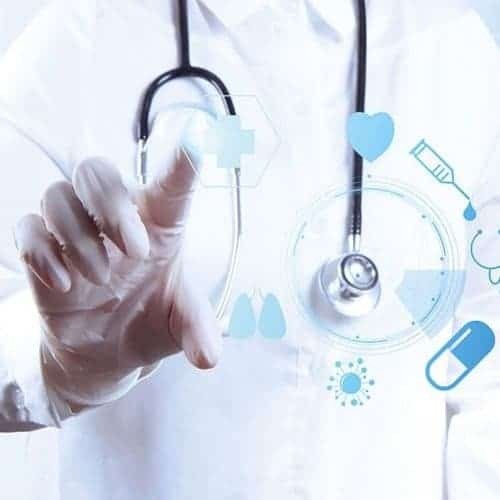 The Gastric Balloon is a medical grade silicon device that is inserted through your mouth and inflated inside your stomach under guidance with a gastroscope. The procedure takes 10 minutes and no surgery is required. Most patients are discharged from hospital on the same day after a few hours of rest. 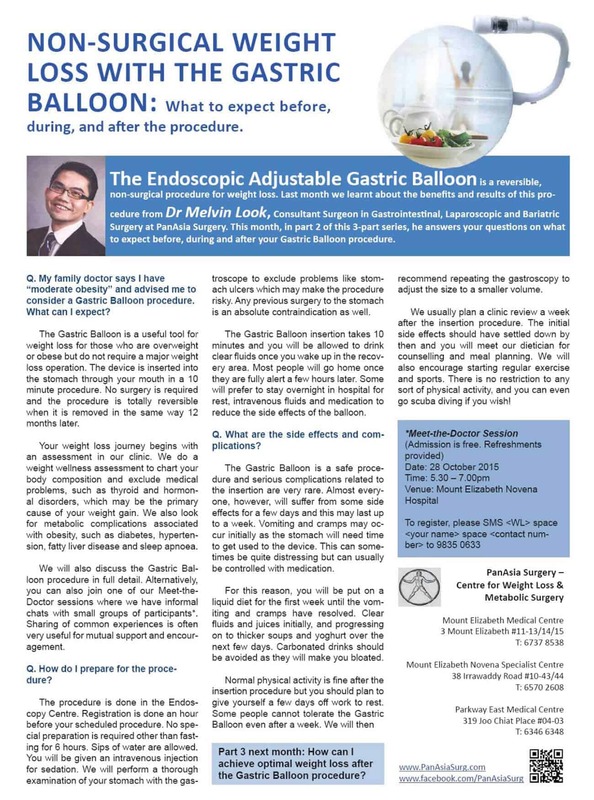 Q: How do I choose between surgery and the gastric balloon procedure? Surgery is usually reserved for people with a Body Mass Index (BMI) that is higher than 37. Such patients have severe obesity and require a permanent solution that can achieve significant and sustainable weight loss. The Gastric Balloon is preferred for those who are overweight or moderately obese (with a BMI between 27 to 37) and do not require surgery. This is a reversible procedure and you will feel completely normal once the balloon is removed after 6 to 12 months. 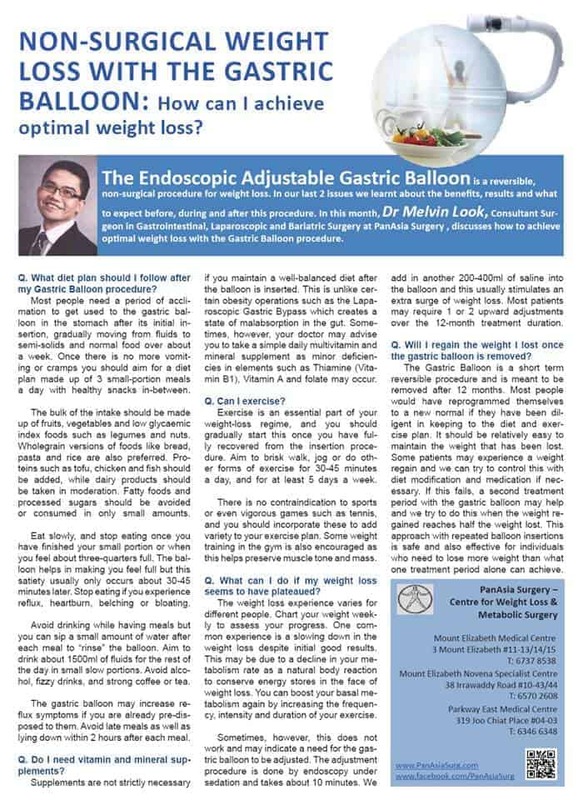 The Gastric Balloon can also be an alternative to surgery, or a bridge before surgery, for the more obese patients who do not want surgery or are not quite ready to undergo an operation yet. Q: How does it work? What results can I expect? The Gastric Balloon is not a magic pill. It is a medical tool to help control your appetite to facilitate compliance to a dietary plan. The Gastric Balloon occupies space in the stomach and reduces the capacity of the stomach. Stretching of the stomach wall after a small meal tells your brain that you are full. Stomach emptying is delayed and you will feel full until your next meal. Taking away the hunger is the key to sticking to a low calorie diet plan. Losing weight is not easy. You need to be motivated and regular exercising is also encouraged for optimal results. You will be taught simple rules for behavioural modification. We recommend keeping the Gastric Balloon in for at least 6 to 12 months as your body will then be “reprogrammed” to healthier dietary intake even after the device is removed. The amount of weight loss with the Gastric Balloon can be variable, and may be related to the volume of saline used to fill the balloon. Earlier this year, a new Gastric Balloon was made available in Singapore which is adjustable. We are therefore able to increase (or decrease) the size of the balloon during the 12-month period when it is left in the stomach. Clinical studies using this Adjustable Gastric Balloon reported a 42.9-50.6%. Excess Weight Loss at 12 months equivalent to a mean weight loss of 17.2 to 24 kg. Machytka E. Klvana P. Kornbluth A et al. Adjustable intragastric balloons: a 12-month pilot trial in endoscopic weight loss management. Obes Surg. 2011 Oct 21(10): 1499-507. Ballooning Weight? Get a Balloon Inside You.